USB Cases - Which one is right for you? - iusb - Promotional USBs like no other. - iusb - Promotional USBs like no other. When looking at USB cases it important to think about what the USB will be used for as that will help you decide which case is the right choice. 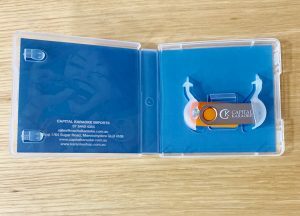 You might be looking for the most cost-effective option as the USBs will be given away in a promotion or used in-house (hence why USB drives are often called Promotional USB drives). If this is the case then many people will go for the no case option, as even when this is chosen most USB will come in a cello bag what not only protects the USB drive but also is lets the USB looks like it is a complete package. When looking at retailing a USB drive – the best option is a DVD Style USB case. These cases are actually closer to style to a Blu Ray case, but for simplicity reason, they are called DVD style. As well as case that can hold any USB with a type A style connector there are also cases that are specifically designed to hold the TWIST and CARD style USBs, made for a similar material as DVD cases. All these USB cases fall in a similar price bracket. They look great in a retail environment, both on the shelf and packaged up in boxsets. Another advantage is that they also ship well as they don’t break easily. Also as they mirror DVD cases in a lot of ways it means that for pick n pack facilities that are setup for standard retail shipping they can fit right in. 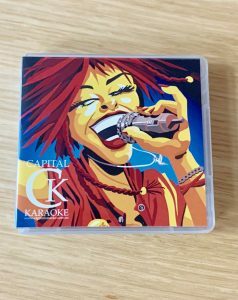 Cardboard Style DVD case are really the all round of packaging options, they look great in a retail environment, they ship well, they have a premium feel and appearance without the cost and they are also better for the environment as they use fewer plastics. The range consists of Gatefold USB, Digicase USB, DVD Size Gatefold USB. Most are made purely from cardboard, glue and die-cut to the desired shape, except for the USB Digicase – this is cardboard glued and die-cut with a plastic tray attached into place. Most of the USB cardboard style case come in a 4 and 6-panel configuration. No matter what purpose you have for your USB there will also be a packaging solution available for you from iusb.